Want an easy and quick way to serve potatoes? Give this recipe a try. This recipe couldn’t get any easier. 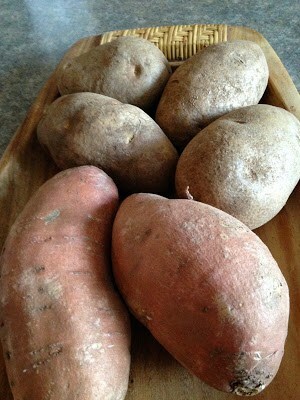 Simply purchase some large baking potatoes and sweet potatoes, peel and slice into wedges or chop into large cubes. In a large, gallon size plastic baggie, pour vegetable oil and onion-herb seasoning blend. Toss in the potato wedges or cubes and shake the bag. Pour onto a large baking sheet, with sides, and bake. I like to serve these delicious and crispy potatoes wedges or cubes with blue cheese dressing but you can serve them with any condiment you like such as: ketchup, barbecue sauce, ranch dressing, mustard, tarter sauce or sour cream. My hubby’s favorite way to eat crispy potato wedges/cubes is topped with sour cream, sharp cheddar cheese, diced crispy bacon and a sprinkle of sliced green onions. This man knows how to eat a plate of potato wedges! 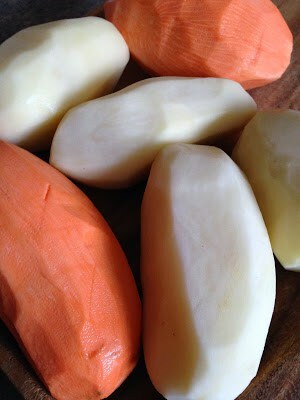 Peel potatoes, cut into large cubes. Rinse. 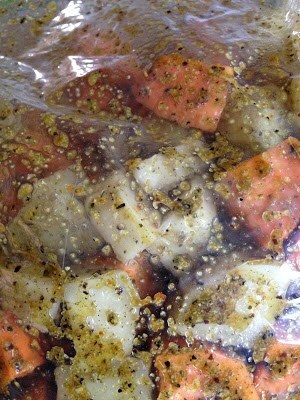 In a large resealable baggie, pour in vegetable oil and add seasoning blend. Add potatoes and shake well. 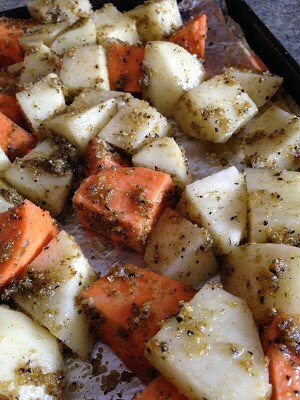 Pour potatoes out onto a large baking sheet with sides. 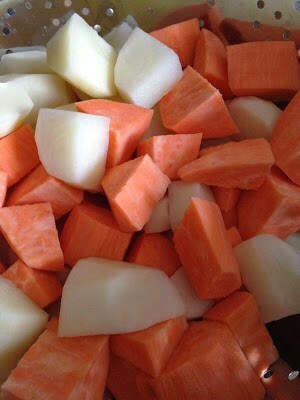 Bake at 425º until potatoes are fork tender and browned, 30 to 45 minutes. 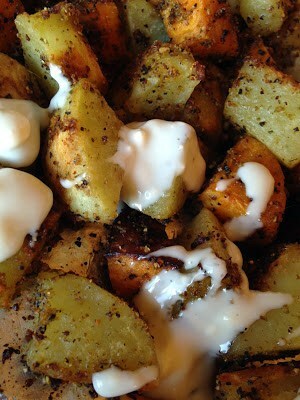 Serve with Blue cheese dressing or condiments of your choice. Roasted Cherry Tomatoes are always a welcomed sight anytime. 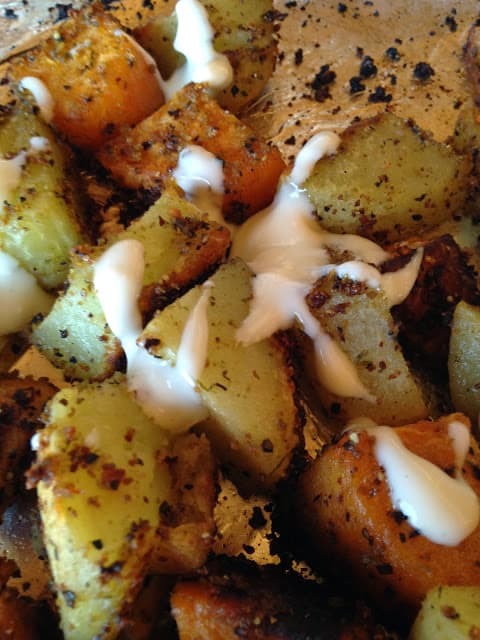 Perfect to serve alongside these tasty roasted potatoes.